New cuts in social spending and public investment such as those promised by the Partido Popular Government to Brussels, would have an extremely high economic and social cost. Growth would slow down, which in turn would heavily impact job creation and aggravate the situation of those most affected by the crisis. We need a turn in economic policies: we must end fiscal austerity and wage reduction policies to encourage a way out of the crisis that doesn’t leave anybody behind. This is crucial for Spain, as well as an opportunity to open up a new time in Europe. Many voices at the international level are asking for a change in the Eurozone’s fiscal policy. The governor of the ECB has insistently called for an expansive fiscal policy for Eurozone countries, along with a monetary policy that avoids the risk of deflation. The OECD has also recently called for a relaxation in the Eurozone’s public deficit reduction goals in order to develop public investment plans that promote job creation and focus on productive priorities. Genuinely boosting job creation, investing to modernise the productive fabric of our country, and tacking social fractures will require renegotiating with Brussels our country’s public deficit reduction rates. Making these objectives sustainable over time will also require a commitment from the next Spanish government to undertake a deep reform of the Pact for Stability and Growth that guarantees its flexibility to adapt to the economic cycle. It is possible and necessary to reverse the cuts imposed over the last few years in healthcare, education, disability, and research; in order to bring Spain closer to European levels. Only by doing so, the benefits of economic growth will reach society as a whole and inequality will be reduced. Additionally, it’s not enough to create new jobs, they must be quality and stable ones. This means repealing the last two labour reforms, not to go back to the previous situation, but to create a new, more democratic, and balanced framework of labour relations that guarantees living wages and discourages the fraudulent use of temporary contracts. Equality between men and women, especially in the job market, is also an essential condition to reinforce our democracy and wellbeing. Furthermore, a new economic agenda for our country and the Eurozone cannot ignore the enormous environmental challenges ahead. Reconciling growth, job creation, and sustainability will require putting public investment programs at the service of the necessary process of decarbonisation of our industrial infrastructure and of an energetic transition based on efficiency and the use of renewable energies, thus guaranteeing an occupational alternative for those currently working in the affected sectors. We also denounce the so-called free trade and investment treaties, such as TTIP, CETA, and TISA, negotiated in secrecy, which represent a serious threat to sovereignty and the environment, as they put the needs of transnational corporations before workers rights, health and environmental controls, and the democratic laws of countries. Europe changes when its societies and governments change. For that reason, we think a change in the government of Spain is a first and fundamental step to initiate a wider change in the Eurozone. The change in economic policies that Spain needs is the same required by Europe, and vice-versa. For all these reasons, we publicly back Unidos Podemos’ candidacy for the next general elections that will take place in Spain on June 26th. We believe their economic program is capable of tackling with credibility and rigour the challenges of the present and the future. We believe their program will serve to put an end to austerity policies in Spain, thereby also opening a new time in Europe. Vicenç Navarro, Catedrático de Políticas Públicas, Universitat Pompeu Fabra. Thomas Piketty. EHESS & Ecole d’Economie de Paris/Paris School of Economics. Ann Pettifor, Director of Policy Research in Macroeconomics and a member of Jeremy Corbyn’s Labour Party economic advisory panel. James Galbraith. The University of Texas at Austin. Victoria Chick. Emeritus Professor of Economics. University College London. Rafael Muñoz de Bustillo Llorente. Catedrático de Economía Aplicada. Universidad de Salamanca. Marina Subirats. Catedrática emérita, Universidad Autónoma de Barcelona. Ozlem Onaran, Professor of Economics, Director of Greenwich Political Economy Research Centre, University of Greenwich. Bruno Estrada. Economista. CCOO y Junta Directiva de Economistas Frente a la Crisis. Bibiana Medialdea, Profesora de Economía, Universidad Complutense de Madrid. Lourdes Benería. Catedrática emérita, Cornell University. Javier Salinas Jiménez. Director del Departamento de Economía y Hacienda Pública. Universidad Autónoma de Madrid. Maria Cristina Marcuzzo. Dipartimento di Scienze Statistiche. Università di Roma “La Sapienza”. Amit Bhaduri, Professor Emeritus, JNU, New Delhi , India (Winner of 2016 Leontief Prize in Economics). César Estrada Martínez, Ex Consejero de Hacienda, Junta de Andalucía. Eugenia Correa. Facultad de Economia. Universidad Nacional Autónoma de México. Marc Lavoie. Professor. University of Ottawa and University of Paris 13. Nuria Alonso. Universidad Rey Juan Carlos e ICEI. Francisco Javier Braña. Catedrático, Universidad de Salamanca. María Pazos Morán. Investigadora en el Instituto de Estudios Fiscales. Steve Keen, Head of School of Economics, History & Politics in Kingston University. Carlos Berzosa, Catedrático, Universidad Complutense. Ex Rector. Stephanie Seguino. Professor, Department of Economics. University of Vermont. Sergio Cesaratto. Dipartimento di Economia Politica e Statistica. University of Siena. Noemi Levy-Orlik. Fac. 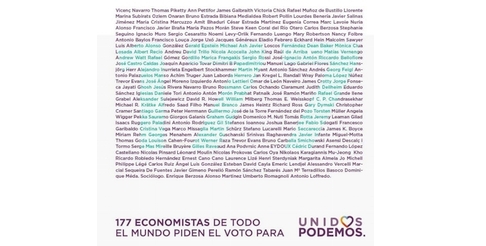 de Economia. Universidad Nacional Autónoma de México. Fernando Luengo, Universidad Complutense de Madrid. Mary Robertson, University of Greenwich. Nancy Folbre. Catedrática emerita, University of Massachusetts Amherst. Antonio Baylos. Catedrático. Universidad Castilla La Mancha. Francisco Louça. Catedrático. ISEG. Universidad de Lisboa. Jorge Uxó. Universidad de Castilla – La Mancha. Jacques Généreux, Prof. of economics-Sciences Po. Chairman of the committee developing the Jean-Luc Mélenchon’s program for 2017. Former Secretary of economy (Parti de Gauche). Eladio Febrero. Universidad de Castilla-La Mancha. Eckhard Hein, Professor of Economics, Berlin School of Economics and Law. Malcolm Sawyer. Emeritus Professor of Economics. University of Leeds. Luis Alberto Alonso González, Universidad Complutense de Madrid. Gerald Epstein. Professor of Economics and Co-Director, Political Economy Research Institute (PERI)University of Massachusetts Amherst. Michael Ash. Professor of Economics and Public Policy.University of Massachusetts Amherst. Dean Baker, Co-Director, Center for Economic and Policy Research in Washington. Mònica Clua Losada. Profesora Titular de Political Economy, Universidad de Texas. Albert Recio Andreu. Universidad Autónoma de Barcelona. David Trillo. Universidad Rey Juan Carlos. Nicola Acocella. Professor of Economic Policy. Department of Methods and Models for Economics, Territory and Finance. Faculty of Economics, University of Rome ‘La Sapienza’. John King, Emeritus Professor, La Trobe University and Honorary Professor, Federation University Australia. Rafael Gómez Gordillo. Universidad Pablo de Olavide, Sevilla. José-Ignacio Antón. Department of Economics. Johannes Kepler University Linz. José Castro Caldas. Centre for Social Studies, Coimbra University, Portugal. Joaquín Aparicio Tovar. Catedrático. Universidad Castilla-La Mancha. Gabriel Flores Sánchez Doctor en Ciencias Económicas y Empresariales. Hansjörg Herr Berlin School of Economics and Law Berlin. Martin Myant, Head of Unit “European Economic, Employment and Social Policy”, European Trade Union Institute. Antonio Sánchez Andrés. Universidad de Valencia. Georg Feigl. economista y miembro de BEIGEWUM. Viena, Austria. Antonio Palazuelos Manso. Universidad Complutense de Madrid. Juan Laborda Herrero. Universidad Carlos III de Madrid. Jan Kregel. Director of Research. Levy Economics Institute, EEUU. Trevor Evans. 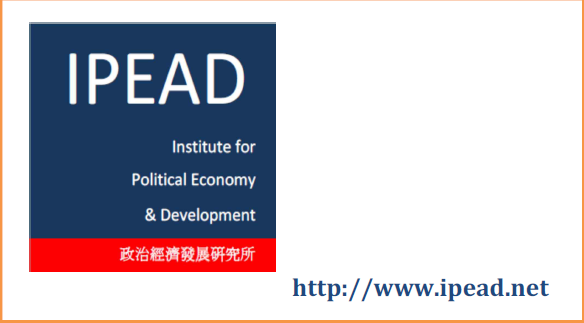 Institute for International Political Economy (IPE) Berlin School of Economics & Law. José Ángel Moreno Izquierdo. Miembro del Patronato de Economistas sin Fronteras. Guglielmo Forges Davanzati Associate professor of Political Economy University of Salento. Omar de León Naveiro, Universidad Complutense de Madrid. James Crotty. Professor Emeritus. UMASS Amherst Economics Department. Jorge Fonseca, Universidad Complutense de Madrid. Jayati Ghosh. Jawaharlal Nehru University. New Delhi. Jesús Rivera Navarro. Universidad de Salamanca. Bruno Rossmann. Member of Parliament for the Green Group Austria. Carlos Ochando Claramunt, Universidad de Valencia. Judith Dellheim, Rosa Luxemburg Stiftung, Berlin. Daniele Tori. Greenwich Political Economy Research Centre (GPERC). Antonio Antón Morón. Universidad Autónoma de Madrid. Prabhat Patnaik, Professor Emeritus, Centre for Economic Studies and Planning, Jawaharlal Nehru University, New Delhi. Rafael Grande. Universidad de Salamanca. Ilene Grabel. Josef Korbel School of Int’l Studies; University of Denver. William Milberg. Dean and Professor of Economics. New School for Social Research. New York. C. P. Chandrasekhar. Dean, School of Social Sciences and Professor, Centre for Economic Studies and Planning, Jawaharlal Nehru University, New Delhi, India. Alfredo Saad Filho. University of London. Christopher Cramer. Professor of the Political Economy of Development. SOAS, University of London. Santiago Garma, Catedrático de la Universidad Complutense (jubilado). Guillermo José de la Torre Fernández del Pozo. Economista. Fundacion tripartita para la formacion en el empleo. Asistencia tecnica CC.OO. Pekka Sauramo. Senior economist. Labour Institute for Economic Research. Helsinki, Finland. Giorgos Galanis, University of London. Graham Gudgin. University of Cambridge. Tomás Rotta. Greenwich Political Economy Research Center. London. Gilad Isaacs, Research Coordinator, CSID, School of Economics and Business Sciences, University of the Witwatersrand, Johannesburg, South Africa. Stefanos Ioannou, University of Leeds. Cristina Vega. Facultad Latinoamericana de Ciencias Sociales (FLACSO) – sede Ecuador. Marco Missaglia. Facultad Latinoamericana de Ciencias Sociales (FLACSO) – sede Ecuador. Stefano Lucarelli, University of Bergamo and Centre d’économie de la Sorbonne. Mario Seccareccia, University of Ottawa, Canadá. Miriam Rehm, Economist in Vienna, Ph.D.
Alexander Guschanski. Greenwich Political Economy Research Centre. Srinivas Raghavendra. National University of Ireland, Galway. Republic of Ireland. Javier Infante Miguel-Motta. Titular de Historia del Derecho y de las Instituciones. Thomas Goda. School of Economics and Finance. Werner Raza. Former Head of ÖFSE (Austrian Foundation for Development Research). Trevor Evans. Berlin School of Economics and Law. Bruno Carballa Smichowski. Universidad de Buenos Aires y CEPN – Université Paris XIII – Sorbonne Paris Cité. Asensi Descalç i Tormo. Universitat de València. Mireille Bruyère. Economiste Atterrés France y Université de Toulouse. Gilles Raveaud. University Paris 8. Ana Podvrsic. University Paris 13. Anne EYDOUX. Université Rennes 2, économiste atterrée. Fernando López Castellano. Universidad de Granada. Léonard Moulin. University Paris 13. Carlos Oya. SOAS, University of London. Nikolaos Karagiannis. Professor of Economics. Winston-Salem State University. Mu-Jeong Kho. University College London (UCL). Ricardo Robledo Hernández. Catedrático de Historia Económica. (Universidad de Salamanca y Universitat Pompeu Fabra). Ernest Cano Cano. Decano de la Facultat de Ciències Socials. Universitat de València. Henri Sterdyniak, les Economistes Atterrés, France. Margarita Almela. Profesora Titular, UNED. Jo Michell. Senior Lecturer in Economics, UWE, Bristol. Philippe Légé, University of Picardie. Ángel Luis González Esteban. Universitat de Barcelona. David Cayla, University of Angers. Emeric Lendjel, Université Paris 1 Panthéon-Sorbonne. Javier Gimeno Perelló. Universidad Complutense. Ramón Sánchez Tabarés. Catedrático jubilado de la Universidad de Barcelona. Juan Mª Terradillos Basoco. Catedrático. Universidad de Cádiz. Enrique Berzosa Alonso Martinez. Jubilado de autonómo y empresario. Umberto Romagnoli. Università di Bologna. Antonio Loffredo. Universidad de Siena. Casi 180 economistas firman un manifiesto de apoyo a la candidatura de Unidos Podemos. If there is anyone who wants to find news article relevant to this in Google, please follows to this link. Below are the economists, financial experts, and academics who signed the letter. 147. Carolyn McClanahan, CFP, Life Planning Partners, Inc.